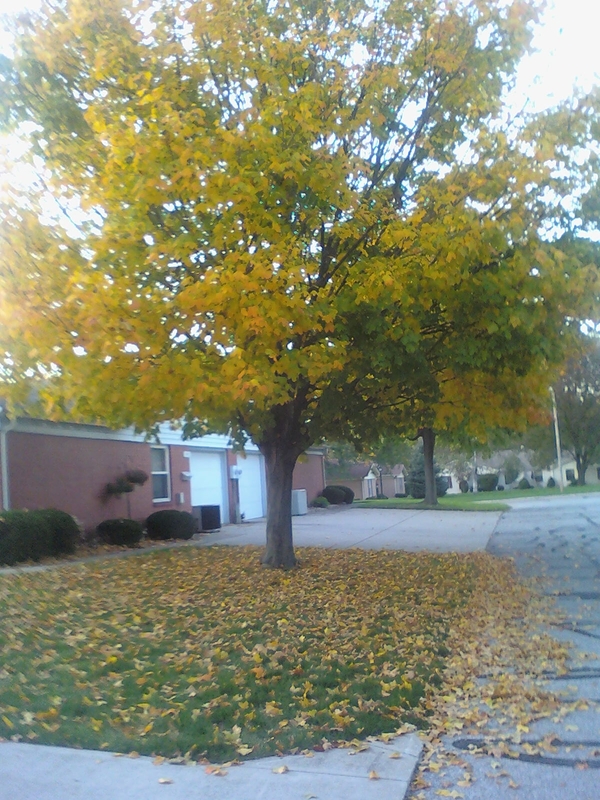 Wind, rain, and hail last night announced the arrival of autumn in central Indiana. A blustery west wind drives brown and yellow maple leaves past my window this afternoon. Clearly, this will be one of the abrupt season changes that Hoosiers expect and prepare for. Months ago, one neighbor stacked a rick of firewood against the chain-link fence we share. Now checked and gray, those logs are ready to heat his family room through the winter. Barbeque grills and canvas chairs disappeared from nearby patios well before Labor Day, and another neighbor gives his concrete slab a final dust-up with his broom. It’s not too hard to imagine a blanket of snow covering it soon. I wonder whether people in temperate climates such as ours eventually develop an instinct for preparation, like migratory birds. We seem to know when it’s time to stockpile, cover, and bring our summer gear inside, well before the weather itself changes. My wife will tell you that, if such a primal instinct does exist, men like me have learned how to ignore it. But such exceptions need not disprove the theory. In fact, our existence may simply confirm that another species is evolving–homo procrastinus.